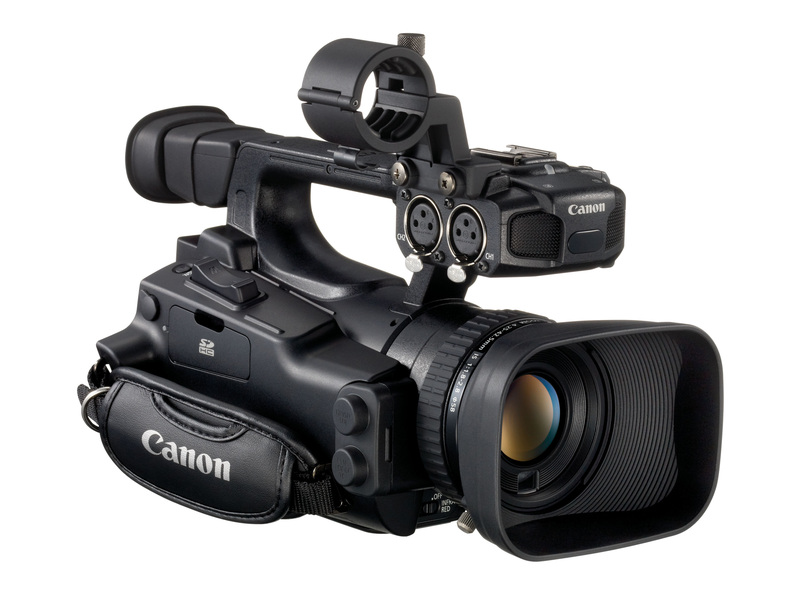 Canon outs the new Canon XF105 and XF100 Camcorders, which are manufacturer’s smallest professional camcorders and also capable of shooting native 1920 x 1080 HD and 3-D video. Both camcorders are powered by Canon DIGIC DV III Image Processor and Canon Full HD CMOS Image Sensor, utilize Canon’s MPEG-2 4:2:2 50Mbps XF Codec, have a built-in infrared low-light feature enabling the capture of HD video in complete darkness. 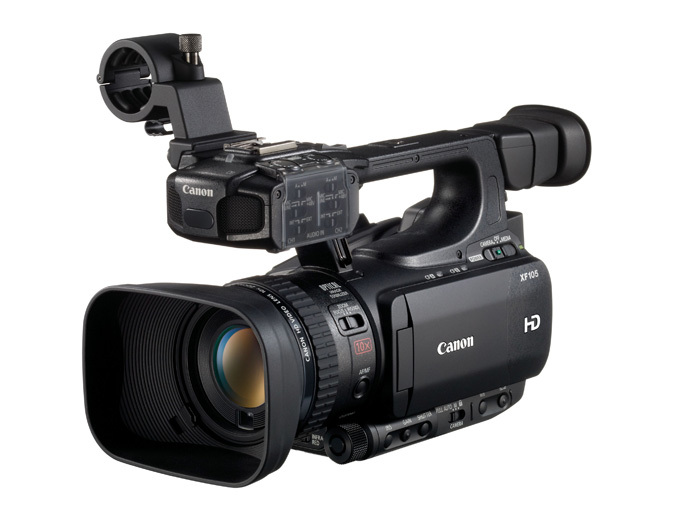 They can record at multiple bit rates, resolutions and variable frame rates for slow and fast motion to hot-swappable Compact Flash cards, have a Genuine Canon 10x HD Zoom lens with with a 35mm equivalent zoom range of 30.4mm – 304mm and a SuperRange Optical Image Stabilizer (OIS).The features continues with freely rotating 3.5-inch, 920,000 dot LCD monitor and .24-inch 260,000 electronic viewfinder and built-in stereo microphone, as well dual XLR inputs for external audio sources. 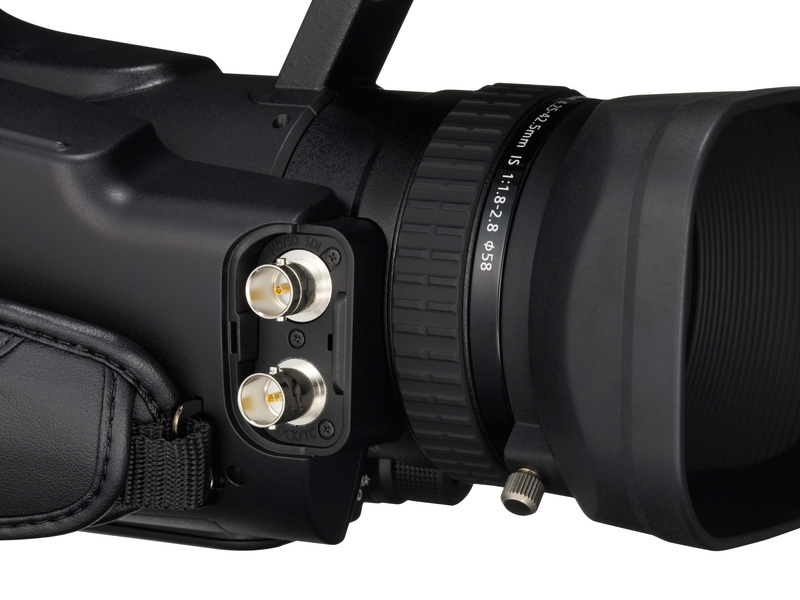 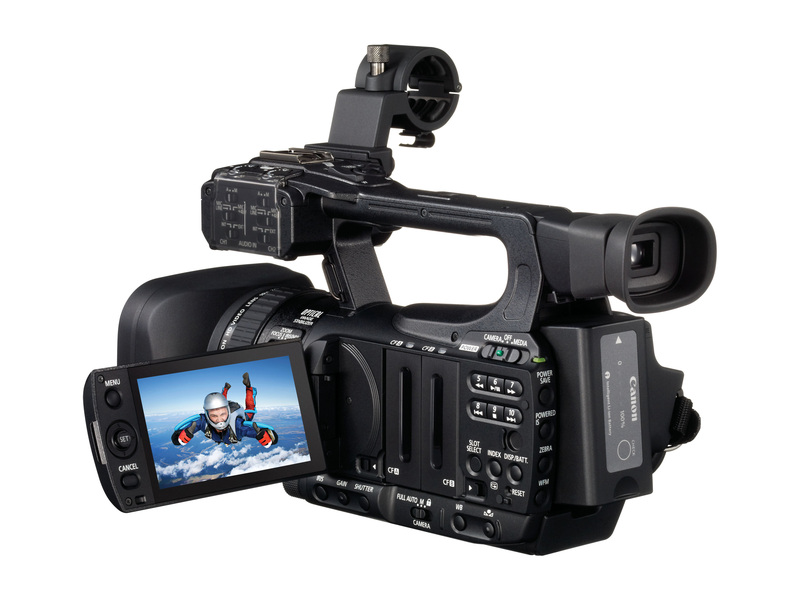 The differences between both models are industry-standard HD-SDI output and genlock in/SMPTE time code (in/out) terminals available on the Canon XF105. 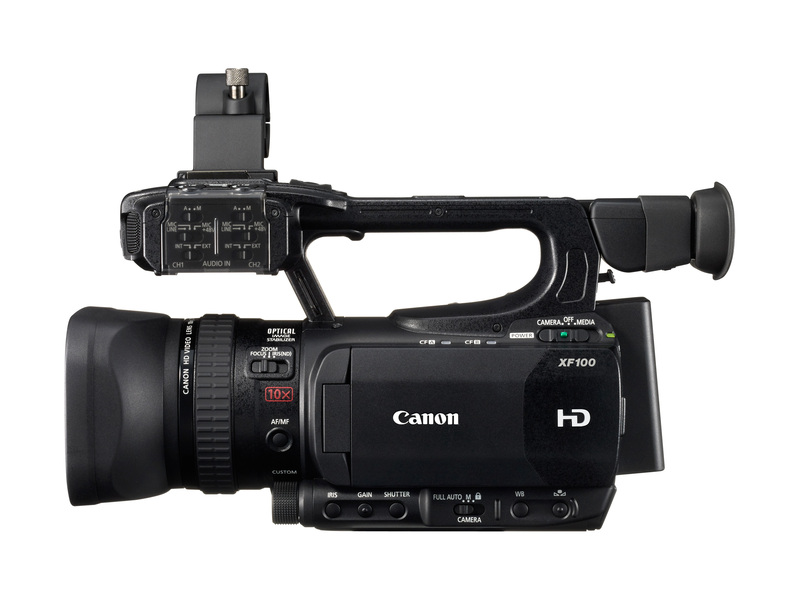 Canon XF105 and XF100 are scheduled to be available in the first quarter of 2011.